I wanted to be real! Beautiful poem and pictures! It was really special to see the fox. I was lucky to get some shots before it disappeared. Wonderful images – a very stealthy fox. I especially love the simplicity of the first shot. 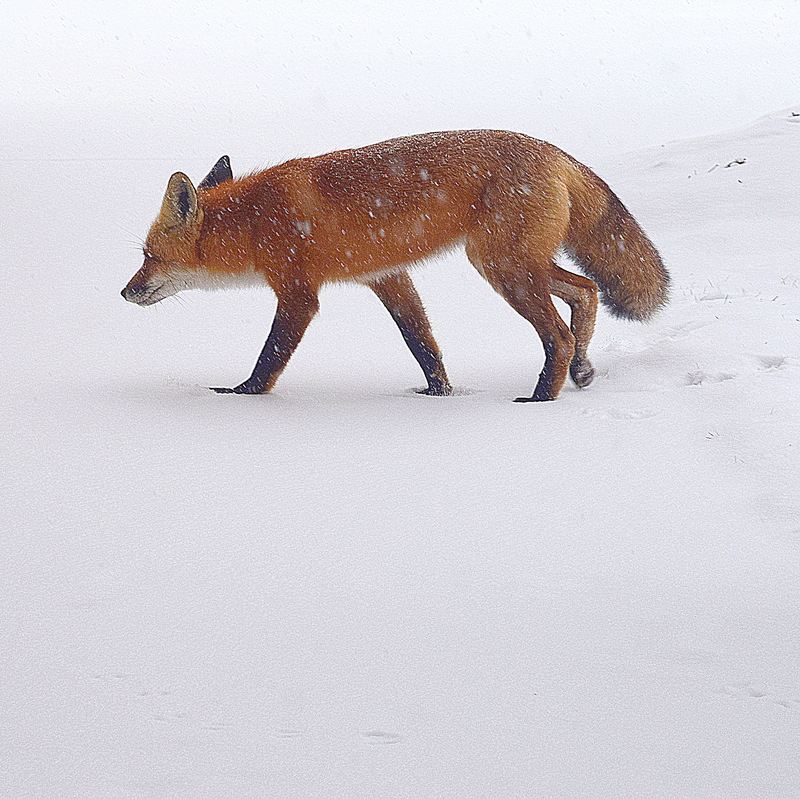 I like that one, too…just fox and snow. 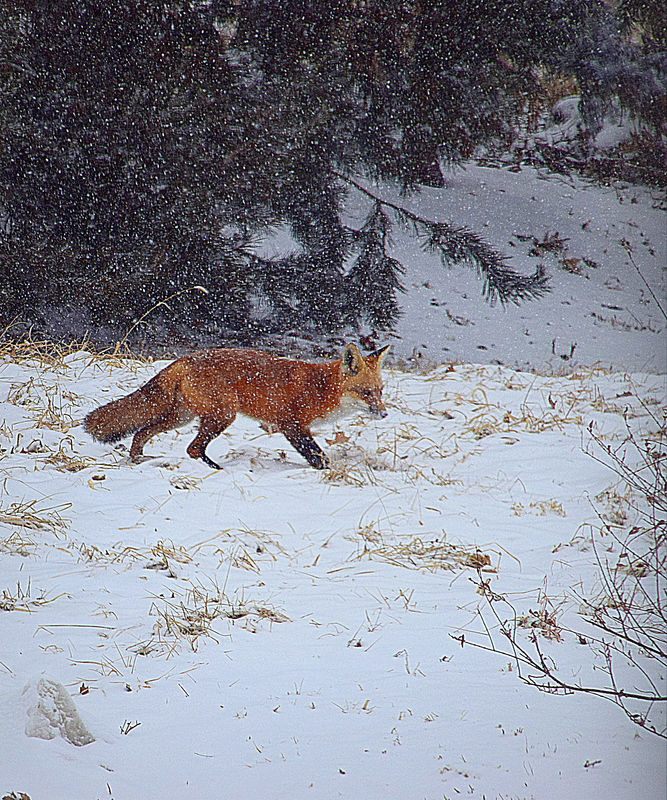 It was a thrill to see a fox trot across our patio. I just happened to look out at the right time. Its all a dream Sandy, a seemingly real one but still a dream. Glad you enjoyed them, Elaine. Fantastic to see and the photos convey the dreamlike quality. Foxes are beginning to appear in suburban neighborhoods here. In the past, sightings were primarily in parks. That is interesting. I wonder what is driving this and I do hope that it does not lead to conflict with humans. I am not certain. Perhaps in part because humans are encroaching on their territory by building in once rural areas. Beautiful image and poem, Sandy! Beaiutifully captured. Thanks. Glad you enjoyed the fox! Yes, they do have an air about them. That’s often the case, isn’t it!